Bioprinting organs that are alive and can be implanted into animals, helps researchers work towards one day being able print new hearts and other organs. Cardiovascular disease is the most common cause of death in Ireland, according to the Irish Heart Foundation, responsible for one in three of all deaths. Irish researcher Dr Barry Doyle is trying to understand this disease and help create new ways to treat it. 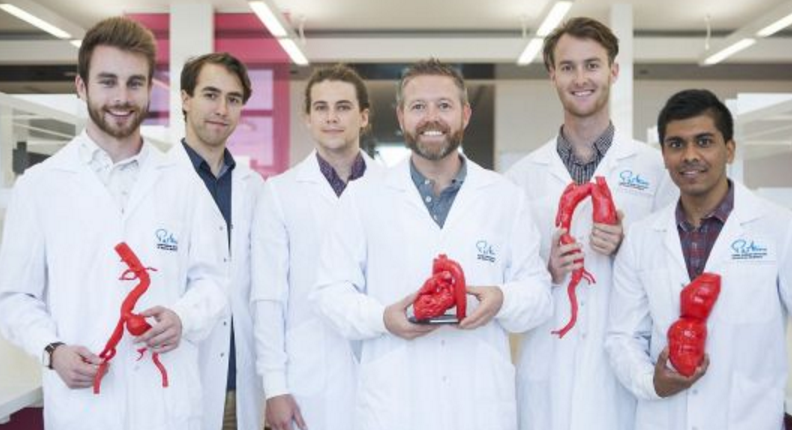 Dr Doyle established the Vascular Engineering Laboratory at the University of Western Australia in May, 2014. The lab currently has a large range of projects under way, and some of the most exciting ones relate to 3D bioprinting. This, however, may be a long way off. “It is still early days,” he says. Dr Doyle studied biomedical engineering at Cork Institute of Technology. “I loved the idea of designing new things that could help save lives,” he says. His final undergraduate year project was aimed at helping to treat internal bleeding. “This project was a total game-changer for me. I quickly fell in love with research and was given great opportunities,” Dr Doyle says. He then applied to do a PhD at the University of Limerick, to continue working on cardiovascular disease. Also at this time, he met his wife, born in Perth but raised in Ireland. Dr Doyle finished his PhD in 2009 and looked around for opportunities to continue his research. He first landed a position at the University of Edinburgh, where he worked with “incredible people from a wide range of academic backgrounds and diverse expertise”.